Entering Canada from USA with a drunk driving arrest or conviction may only be possible if you have received special entry permission by way of Criminal Rehabilitation or a Temporary Resident Permit. Any foreign national that has a criminal record for DWI or DUI may be considered criminally inadmissible to Canada and could be denied entry by border security, even if the offense happened more than ten years ago. Furthermore, there is no presumption of innocence when it comes to international travel to Canada, so as soon as an individual is arrested for a crime they can become ineligible to enter Canada from the United States even though they have not yet been convicted of anything. Impaired driving is now considered a serious criminal offense in Canada punishable by up to a decade in prison. Consequently, even a single conviction from long in the past can cause an American to be refused admittance at the Canadian border without a TRP or Rehabilitation. Driving offenses such as dangerous driving, wet reckless, careless driving, reckless operation, and negligent driving can also cause problems at the border, as can civil DUI violations such as OWI in Wisconsin and DWAI in New York despite not being criminal convictions. Once a person has achieved Canadian Criminal Rehabilitation, entering Canada from the US with an old impaired driving record should never be a problem again. A Temporary Resident Permit is an interim solution that can permit a visitor to cross the border with a DUI for a period of up to three years. Temporary Resident Permits can be obtained hastily but require a valid reason for travel, while Criminal Rehabilitation is permanent but can take almost a year to receive and is only possible for individuals who completed probation five or more years earlier. Want to learn more about how to enter Canada with a DUI? Contact our team now for a free consultation. If you are reading this, you are likely wondering how to enter Canada from US with DWI or DUI appearing on your criminal record. The first step is to understand whether or not you are inadmissible to the country in the first place. Any alcohol-related impaired driving charge including DUI, DWI, OVI, OWI, DWAI, civil DUIs, and wet reckless driving could render a person criminally inadmissible to Canada since the equivalent law north of the border is potentially an indictable offense (similar to an American felony). If you only have one misdemeanor DUI on your criminal record and it is ancient, you may be allowed into Canada without requesting special permission to cross the border. If you finished your entire sentence including probation and payment of all fines and restitution at least ten years before December 2018 (when intoxicated driving became a major crime in Canada), you could be considered "deemed rehabilitated by virtue of time" and allowed to cross the border again. Due to Canada's tough new DUI laws, Deemed Rehabilitation is no longer a possibility for intoxicated driving offenses and such convictions can now render an American criminally inadmissible to Canada for life. Grandfathering may be possible for people who were eligible before the laws changed, however, although it is advisable to always consult with a Canadian immigration lawyer before ever attempting to enter the country. If you did not complete all sentencing at least ten years before Canada changed their laws, or you have more than one DUI or DWI in your past, you may always risk being refused entry into Canada without special entrance permission. For criminally inadmissible persons wondering how to enter Canada with a DUI, the next step is to apply to the Canadian Government for access to the country. You can do this by sending a completed Temporary Resident Permit (TRP) or Criminal Rehabilitation application to the appropriate Citizenship and Immigration Canada office or Canadian visa office (there is one in Los Angeles and one in New York). You can also submit a Temporary Resident Permit application at the Canadian border for an instant decision if you need to get into the country immediately due to an emergency. Once you are issued a TRP or receive Canada Criminal Rehabilitation, you will be able to fly or drive into the country from the United States without your drunk driving charge causing a controversy at the border. 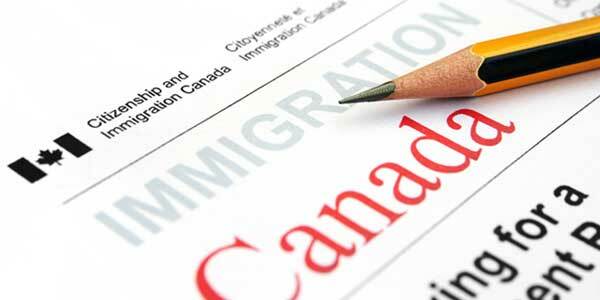 If you are interested in working or studying in Canada, criminal inadmissibility can impede eligibility for Canadian work permit applications and student visas. Consequently, DUI Canada immigration often requires Rehabilitation or a TRP similar to crossing the Canadian border for business or leisure. In addition to impaired driving, arrests or convictions related to illegal drug possession, assault (including domestic violence), theft, and fraud can also prevent an American from freely crossing the Canadian border. For more information about how to travel to Canada with a criminal record, we invite you to explore our many articles about DUI travel to Canada.